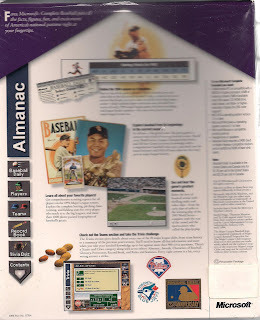 Sorry for the blurry scan, but the back of the box is in pretty rough shape. 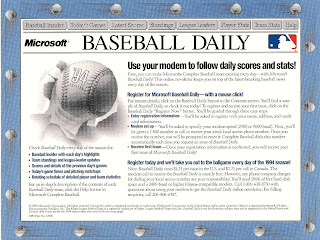 I find it interesting that the two teams featured on the back are the Phillies and the Blue Jays. After a quick search, I learned that they were the teams featured in the 1993 World Series. So, there ya go. 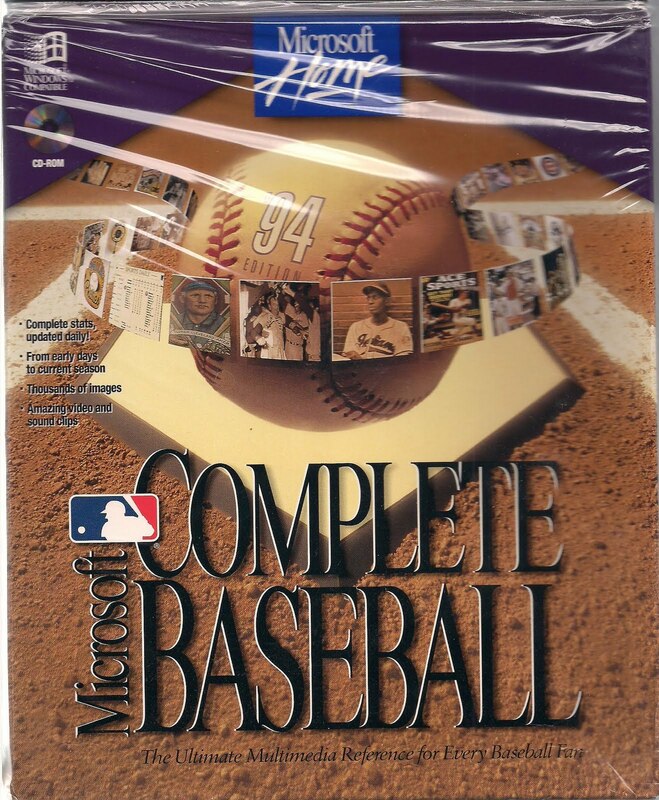 I also found a similar box for "Complete Basketball 1994" and it was void of software as well. I'll keep you posted. I remember that! 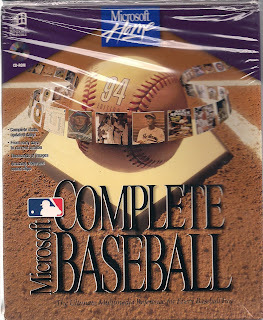 I had the CD-ROM, and it was cool for its time. 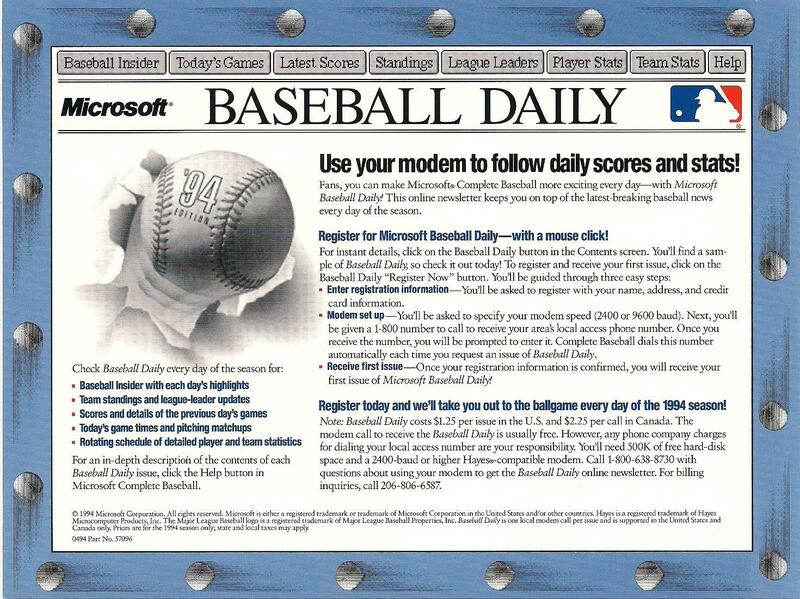 The MLB.com website has it beat by a mile now, of course. Haha, I'm sure the web site does! I also learned that the "updates" were $1.25 per day! Holy smokes! What a rip off... I think there was a 1995 version and then that was it.